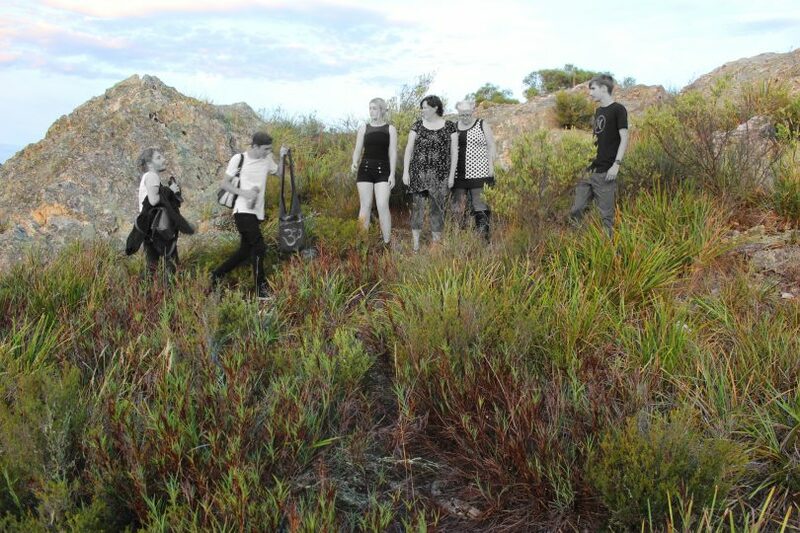 Monochrome is the Goulburn Lieder Theatre’s latest offering. It will be performed locally and in the US this month. Front left to right: Erin Williams, Blake Selmes (the Stranger), Jake Bell. Back from left: Harrison Treble, Fiona Churchill, Shane Daly and Courtney McKenzie. Photo: Supplied. 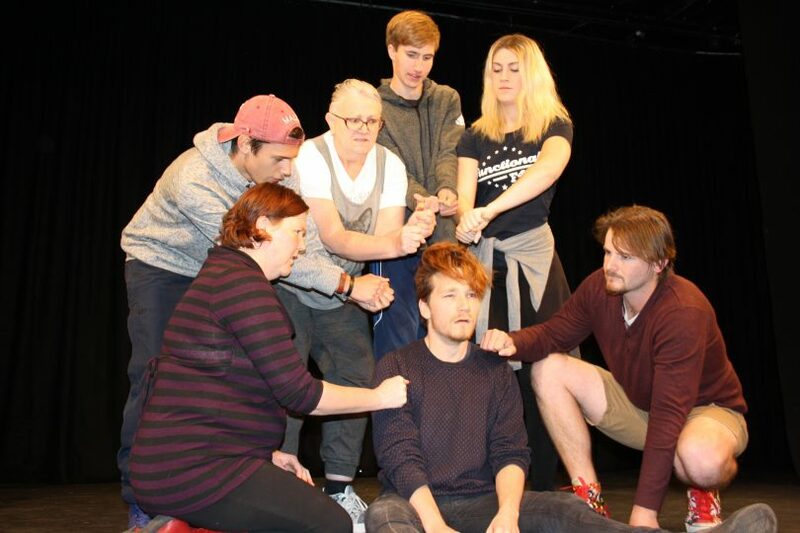 Australia’s oldest running Theatre Company, Goulburn’s Lieder Theatre is packing its bags for Venice, Florida, taking its dynamic production Monochrome to the American Association of Community Theatre’s (AACT) WorldFest this month. One of 15 shows from 14 countries, Monochrome will be performed on the festival’s mainstage, representing Australia’s independent community theatre. Local audiences will have a chance to watch the home-grown theatrical export before the company flies out for the US, on the 6th, 8th and 9th June. Monochrome is an exploration of contemporary themes from bullying, group dynamics and belonging. Central to the production is how we connect with others, and acceptance, but according to Lieder Theatre Director Chrisjohn Hancock, Monochrome is intentionally open-ended. “It operates on a lot of levels. It’s an abstract company-devised production where the audience will see different things and it can be interpreted in a number of ways,” he said. The production is dynamic. It didn’t begin with a script but was workshopped under direction. This non-linear approach has meant interpretation and meaning have evolved organically. “It is a comedy foremost but there is layered meaning. At rehearsals the other day, we put a suitcase in the stranger’s hand which prompted the question, is he a refugee? Is he vulnerable and lost? Likewise, there is a possibility the stranger might also have power in the situation. He could be captain for example,” Chrisjohn said. That such a flowing, creative process undertaken in tight timelines can be a challenge is somewhat of an understatement. Just like the tribe in Monochrome, the cast of seven, directed by Chrisjohn, depend on collaboration and genuine partnerships to devise the production. “It’s tricky. We all needed to find the same pool of water to swim in. Sometimes it’s like a game of chess. But we are a committed group and are enjoying the creative process. At the same time, we are excited about the opportunity to perform internationally and understand that responsibility,” he said. A theatre-devised production, Monochrome was work-shopped by a committed ensemble. Photo: Allan Churchill. For the National Institute of Dramatic Art (NIDA) trained actor and director, Chrisjohn and the Lieder Theatre’s ensemble are no strangers to pulling off impressive productions. Such is the theatre’s reputation and track record that it has been invited to attend AACTWorldFest in 2010, 2014 and again in 2018. “In 2009 we toured the Colour Play to Monaco and Spain where a talent scout saw our show. We were asked to take it to AACTWorldFest but didn’t have the funds, so they paid for us. We were invited back again in 2014 and now this year. As well as Monochrome, we’ll be performing an acrobatic fire show at the festival,” ChrisJohn said. The Lieder Theatre has traditionally been a busy independent community theatre company over the years, with several major productions annually. It’s also a repository for young people interested in the theatre from acting, lighting, sound, staging, writing and directing. “The theatre has a major impact on some people and has been able to help them become more confident and find their way in the world,” he said. A crew of fifteen will fly out to Venice, Florida aged from 15 years to those in their 50s. When they return, the pace continues with rehearsals for the Lieder’s next major production, the Australian classic by Betty Roland, The Touch of Silk. Investigations are also underway into hosting visiting theatre company, Teatr BRAMA from Poland in October. “Teatr BRAMA has been delivering a program, running workshops and creating performance events around Europe for the last four years. Their project culminates in a festival in their hometown Goleniow, Poland, in August,” Chrisjohn said. “The program focuses on using theatre for social change. As part of their funding, they had to travel to the furthest part of the world at the end of the project and share their experiences…that destination is Australia,” Chrisjohn said. Tickets for Monochrome will be on sale at the door or through the Lieder website. You can also follow the Lieder on Facebook.